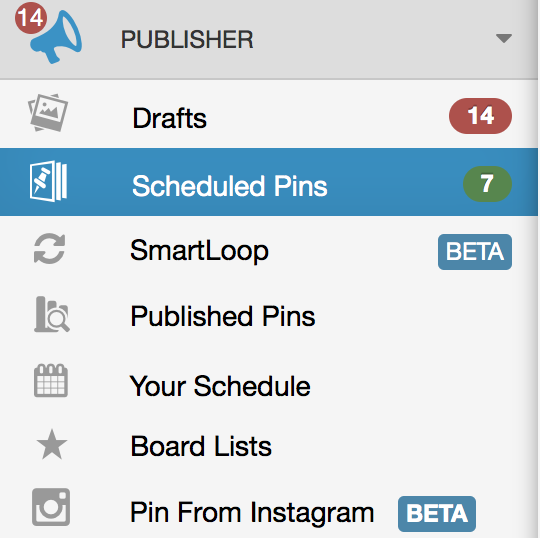 Not ready to publish a Scheduled Pin? No problem! Easily send it back to Drafts. Once you’ve scheduled a Post you can still change your mind and move it back to become a draft again if you aren't ready for that post to be published. 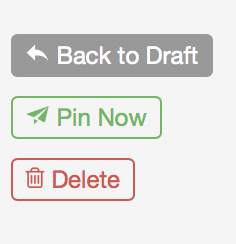 Draft Posts don’t get published as they remain in drafts until you are ready to either delete, or Add to Queue. Go to the Scheduled Pins page (located in the pop-out menu in the left hand navigation). 2. Under Scheduled Posts on the Left-Side, navigate to the desired Post to be moved. 3. Hover over the Post icon to the right of the Post you wish to publish now. publish until you Add to Queue again. Helpful Tip: Once this Post has been sent back to Drafts, the timeslot it was in will remain empty until you schedule another Post to it or "Condense your Posts."